After well over a decade of full time employment as a writer and editor at various organisations, circumstances came together to this point where I have amazing support at home, some cash stashed away and a network that includes some of South Africa’s best online news sites. I told myself I’d freelance only while I searched for a meaningful fulltime job, but after a few weeks I found myself with two lucrative offers, and a decision to make. Neither felt quite right. I’d done a few interviews, met a few recruiters, but what I was most excited about was getting back home to write. I found that I was loving the ability to research a range of intriguing subjects, interview many different kinds of people and, maybe most importantly, I was able to drop it all to watch my son take his first steps, or to pick my daughter up from playschool at the previously impractical time of 12:15, or go for a lunchtime run with a friend. After much introspection, I turned down the offers. It’s been a few months now, and a very different experience from what I anticipated. One thing that surprised me is that while I am able to be choosy about what I work on, I’m still very busy. Another is that I now somehow bring in more than I did when gainfully employed. However, it’s not always easy and I find I sometimes miss the structure and camaraderie of the office. I’m certainly not alone in taking the freelance route to a successful career. 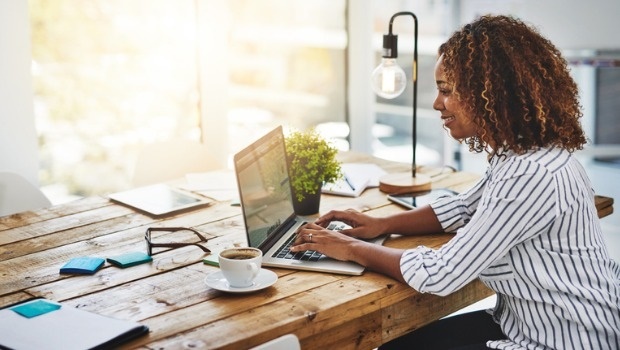 According to Meneesha Govender the freelancing industry is growing at a phenomenal rate, and more women are freelancing than ever before. Research shows that this could be caused in part by a flat job market, but is also partly due to professionals wanting a different lifestyle. Meneesha serves as executive chair of the Southern African Freelancers' Association (SAFREA), an organisation which advocates for and supports freelancers in the communications fields. She told us that more women are opting for the freelance lifestyle than men and that this may be linked to family life and commitments, as well as the glass ceiling that still exists in the corporate world. As I navigate this new world of working from home, getting myself tax compliant and building my client base, I have started connecting with other women who have successful freelance careers, and I’ve reached out and asked for advice. Gugu Manana worked in the financial services, customer and market insights industry in Johannesburg for over 12 years, but left the corporate world in 2012 to pursue a postgraduate qualification, while freelancing. “At the time I felt that corporate life was diminishing my zest for life. I didn't enjoy doing what I was doing and every morning I resented my daily commute to work. It felt out of control, something had to give,” she says. Gugu now follows her passion as a photographer, school counsellor and art counsellor. READ MORE: At R1000 an hour, what's the deal with hiring a life coach these days? Bronwynne Powell, a freelance writer and communications specialist based in Cape Town, says that in her experience a support network is crucial to a successful freelance career. With two small kids at home, she says she is still trying to find exactly the right rhythm. “But don't be afraid. Sometimes we get hemmed in by the fear of making mistakes. I thought long and hard about this too. You're in a privileged position if you're able to step away from a full-time income and design a way to make a living that is better suited to you and your personal circumstance. Try to use that privilege to make a positive impact,” she advises. Sibongile Nzuza has been a freelance admin assistant since 2013. She is based in Johannesburg and also works at a guest house. Sibongile says the reason she enjoys freelancing while working a day job is that it enables her to grow mentally. “I have to make sure that my clients are happy with my work, and be my own manager, time keeper and so much more”, she adds. Samantha Roman has been a freelance packaging designer in Cape Town for over five years, and her clients include the Clicks Group. She advises that while working with one company that provides regular freelance work really helps, it's good to have several clients so that you're not dependent on one. She suggests having some extra cash saved up, because clients might pay late or, she warns, there are some who don't pay at all. What does the Southern African Freelancers' Association advise? She suggests freelancers make use of online tools to manage their time and admin. Her top picks include Toggl, Trello and Asana. To ensure you are paid for your work, she advises, start off with at the very least a written memorandum of understanding in place with each client. “A watertight contract is, of course, the best option. Part of SAFREA's appeal is that our members readily share these types of contracts and agreements with each other,” she added. Whatever your reason for trying the freelance life might be, know that it is still hard work, and the rewards might not always be purely financial, but it could be worth every second to you. Office romances: do they ever work out?